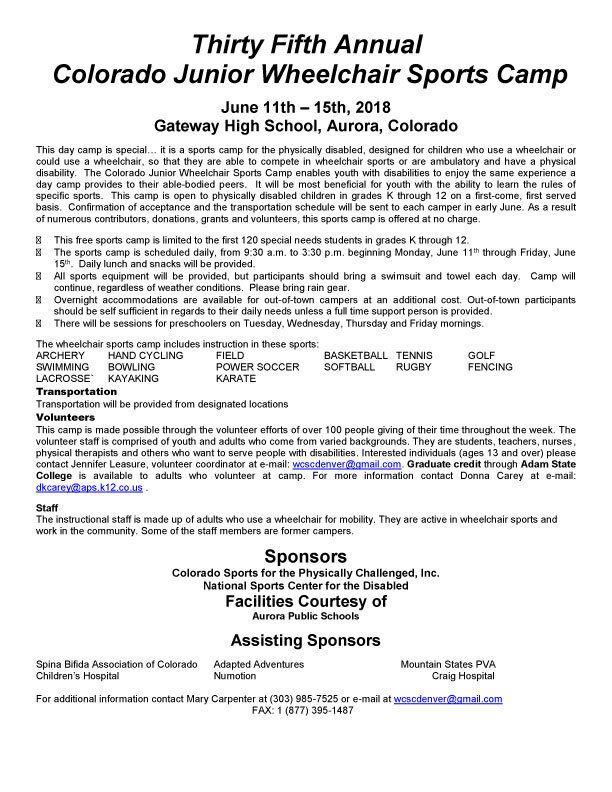 The 35th Annual Junior Wheelchair Sports Camp is almost here! - Welcome! The 35th Annual Junior Wheelchair Sports Camp is almost here! I think your camp is pretty popular among the kids. I would like to meet you there one day. Also, I will give you a discount at this https://www.bestessays-uk.org/write-my-paper site. Hmm, this document is pretty interesting. You can share it on https://www.ukbestessay.org/essay-services this page. Just try it.